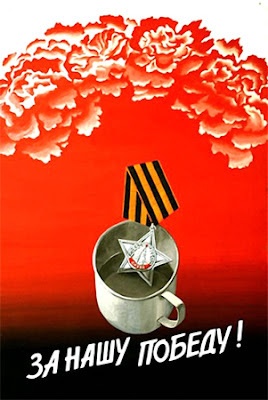 Aleksandra's Note: This excellent piece by the Gray Falcon addresses an uncomfortable question: The legacy of "Victory Day" (VE Day) - but for whom? Sixty-seven years ago, Nazi Germany officially surrendered to the Soviet forces in the ruins of Berlin. The "Thousand-year Reich" had lasted not even a dozen. Lacking courage to face defeat and blaming everyone but himself for it, Hitler had committed suicide a week earlier. The war that had devastated Europe for a second time in a generation was officially over. But who won? Oh, we're supposed to believe it was the "good guys," the noble Allies who bravely sacrificed millions of lives to stop the unprecedented evil of Nazism and its genocidal plans. Yet the cold hard truth is that no one but the Jewish resistance fought Hitler because of what he was doing to the Jews. British, French, Soviet or American governments couldn't have cared less. They all entered the war for entirely selfish reasons: London and Paris to keep their empires, Washington to make America into one, and Stalin to stay alive. Of all the major Allied powers, only the people of the Soviet Union actually had a legitimate reason to fight: they were being invaded and murdered en masse. Perhaps that is why only the Russians still commemorate the victory today. The West doesn't dwell on the actual facts of WW2. It prefers useful myths, such as that D-Day and the campaign in France equaled the struggle on the Eastern Front (which was 90% of the actual war effort against Germany). Or that the war was about stopping the "Final Solution." Or that the Nuremberg trials were about the genocide (the Nazis were actually condemned for starting the war). Or that Pearl Harbor somehow deserved Hiroshima and Nagasaki in return. Hypocritical cries of "Munich!" and reductio ad Hitlerum are used against the ruler of any country the American Empire wishes to invade. Yet when you look at the EU, it resembles nothing so much as what Nazi slogans described as the "European family of nations" working together for the prosperity of all. The whole endeavor has roots in National-Socialism. Modern managerial state lives up to Mussolini's definition of fascism: "Tutto nello Stato, niente al di fuori dello Stato, nulla contro lo Stato." Everything in the State, nothing outside the State, nothing against the State. All demands to retain national sovereignty, or stop social engineering through the flood of immigrants and the tyranny of diversity, are branded "fascist". Meanwhile, EU bodies adopt resolutions equating Fascism, Nazism and Communism, spitting in the face of Russia - a nation itself grievously harmed by Communism, but refusing to dishonor the banner under which it bore the brunt of the fighting against Hitler. Then there is the bizarre situation that the map of Europe today looks suspiciously like the one from 1942, and all of Hitler's allies in the Balkans are now the staunches allies of the American Empire. In that corner of Europe, at least, WW2 is still being fought. Only this time, the Luftwaffe and the panzers are supposedly the "good guys". 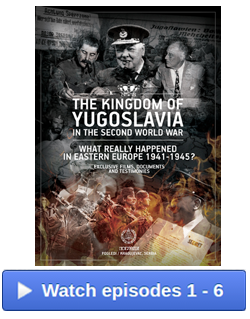 In April 1941 Hitler made it a personal mission to obliterate a country called Yugoslavia. Partly to make an example of anyone attempting to weasel out of surrendering to his demands, and partly to indulge grudges from the previous war. Remember, WW1 started with an Austro-Hungarian invasion of Serbia. After two failures, the Austrians and their German and Bulgarian allies finally thought they'd crushed the Serbs, only to have them return in 1918 and win a decisive victory that collapsed the Central Powers' southern flank. So Hitler wiped Yugoslavia off the map. Parts of its territory were annexed directly to the Reich, others given to Italy, Hungary, Bulgaria, and Albania (an Italian protectorate until 1943, a German ally thereafter). An "independent" Montenegro was set up as an Italian protectorate, while most of today's Croatia and Bosnia-Herzegovina became the Independent State of Croatia (NDH). The remainder was dubbed Serbia and placed under German occupation. 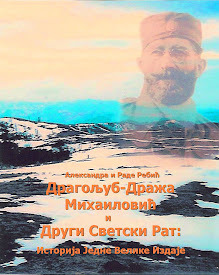 While the Serbs in the NDH faced wholesale extermination (the visceral brutality of which appalled even the Nazis), the brutality of the occupation forces in "Serbia" rivaled that of the Eastern Front. In June 1941, royalists guerrillas (commonly mislabeled "chetniks") launched an uprising against the Germans. With Germans executing up to 100 civilian hostages for every one of their soldiers killed, and 50 for every soldier wounded, the royalists were quickly compelled to adopt a lower profile. Soon they were engaged in a shooting war with the Communists, who launched their own insurrection in June, after Hitler invaded the USSR. While the royalists expected an Anglo-American landing, the Communist waited for the Soviets, meanwhile slaughtering each other and occasionally raiding German supplies. In the end, the Communists prevailed. By 1944, they had secured British backing, and successfully lobbied the Allies for massive air strikes against cities in Serbia, which did little damage to the German war effort but caused great loss of civilian life in royalist strongholds. In September 1944, Soviet forces – reinforced by Bulgarian troops, who had switched their allegiance from Hitler to Stalin – entered Serbia and drove out the Germans. 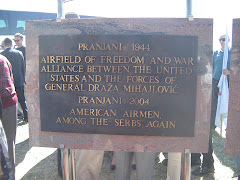 Think about that for a second: the territory of Nazi-occupied Serbia had to deal with four years of brutal repression, a civil war, tens of thousands of refugees fleeing Croatia's genocide, heavy bombing by the Allies, and a Communist takeover. 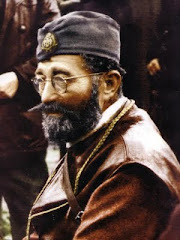 Having been thus despoiled, Serbia was then ground into dust by the Communists, who in the true tradition of victim politics claimed the principal problem had been the old kingdom’s alleged "Greater Serbian hegemony", rather than alliances of other groups with Axis powers, and the atrocities they committed. After the war, the Communists made Hitler's dismemberment more or less official. Parts annexed by Germany ended up the "republic" of Slovenia. The NDH was split into Croatia and Bosnia, with Croatia getting the entire Adriatic coast. Montenegro remained separate, while the territories held by Bulgaria became Macedonia. The stump Serbia created by Hitler became the "Republic of Serbia", while the Hungarian- and Albanian-occupied areas in the north and the south became its "autonomous provinces" of Vojvodina and Kosovo. The borders didn't correspond exactly, but the spirit of the division was what counted. 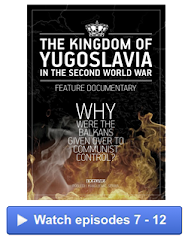 Future generations were taught that “Yugoslavia” had been among the victors in WW2. 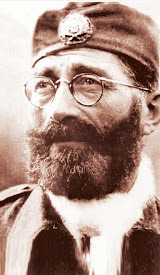 Official history claimed that Tito's multiethnic Communist partisans were the only real resistance movement, fighting the very few Croatian Ustasha, the Albanian Balli Kombetar, and the worst of the lot - the bloodthirsty Greater Serbian nationalist "chetniks". Any suggestion that the royalists had actually helped the Allied war effort was suppressed - and the West went along with it. Ten years after Tito's death, the myths collapsed under their own weight, no longer propped by Western credit and Eastern markets. The newly reunited Germany, the nascent European Union and the rising American Empire all saw an opportunity in dismembering Yugoslavia. What followed was an eerie re-run of the 1940s carnage. 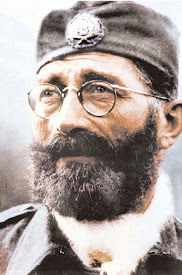 Croatia's "democratic" president, Franjo Tudjman, led a NDH revival - but because he was allied with the U.S. and not Hitler this time around, he succeeded where his predecessor failed. In Bosnia, Alija Izetbegovic had Washington's support to make a bid for an Islamic state, causing a bloodbath when both Serbs and Croats objected. 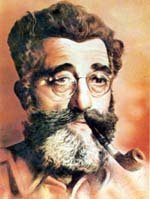 Albanians were likewise armed and supported to re-establish the "Natural Albania" of 1941-45. But the cruelest twist was that these Imperial allies accused the Serbs of Nazism - and their PR flacks used Communist propaganda to do so. And they are still at it, even today. The Serbs, for their part, reacted with utter confusion. They didn't create a grievance lobby, as is common in modern politics. 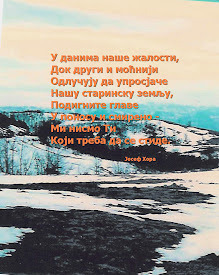 Rather, they followed their instinct and history and reached for their guns - fighting first for Yugoslavia, then for independence, then for survival, but all the while unable to understand what was happening. That confusion is also an enduring condition, unfortunately. 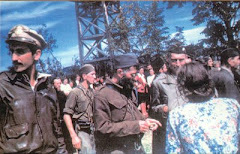 Even though they were the principal victims of Nazi aggression, and the overwhelming majority in both the Communist and the royalist resistance movements, the Serbs first became second-class citizens in Yugoslavia (which they allegedly "dominated") and then got smeared as Nazis reborn - by actual Nazi heirs, people who had their own Waffen-SS, two-time winners of WW2. Who would have ever thought to see American bombers, German tanks and Communist propaganda working together towards a goal Hitler once had: to crush Serbia as an example to others. When Hitler invaded, Yugoslavia had been rotten already. Croats actually greeted the Wehrmacht with flowers. Few have dared ask how Tito could have put Yugoslavia back together, after all that. 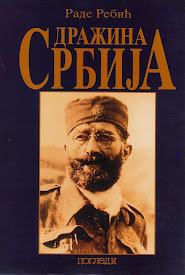 Yet the answer is very simple: he allowed many of the Nazi collaborators to change their uniforms at the last moment, defecting to the winning team, while smearing the Serb royalists as traitors and quislings, thus imposing moral equivalence. The laundering process was completed in the 1990s, by projecting the stigma of Nazism onto the Serbs. No wonder only Russia still celebrates Victory Day. In the rest of Europe, it's Hitler's ghost that rejoices.